Although Puerto Limon in Costa Rica is becoming a more and more popular stop on the itineraries of many Western Caribbean cruises, the port city itself has not yet become a touristy and busy center of activity. But, the lack of roadside stands and aggressive port hagglers is actually welcomed by many, and the stop tops the best lists of many travelers here thanks to the beautiful, unspoiled landscape that the country has to offer. Home to a wide assortment of natural parks and incredible wildlife diversity, here there is no shortage of exciting adventure tours and exhilarating ways to explore the lush environment around you. It should come as no surprise then that many of the best things to do in Limon Costa Rica center around the natural environment, including a bustling rainforest and impressive rock formations. We put together a list of the ten best things to do when cruises to Costa Rica stop here, in Puerto Limon. From adventure seekers to guests traveling with small children, there is something for just about everyone. 1. Helicopter Rides: Although it may be difficult to book one of these altitude intense rides by any means than directly from your cruise line, they are well worth both the effort and the cost. From soaring high above the Panama Canal to gliding at high speeds over the lush and lavish landscape below, helicopter rides here are almost unlike any others in the world. They offer a unique perspective of the environment here not achievable from dry land, and are the highlight of many guests’ travels to this part of the world. 2. Tortuguero Canals: One of the very most popular things to do in Limon Costa Rica is to take a trip aboard boat through the Tortuguero canals, named for the green turtles that are abundant here. Guests enjoy their slow cruises along the shorelines of the canals where exotic wildlife like toucans and sloths can be viewed in their natural environments. These jungle tours are ideal for both families traveling with children and large groups and should not be missed by first timers to the area. 3. Surfing: Unfortunately, Puerto Limon is not home to the best beach vacations, and rocky cliffs and ledges make getting your feet wet very challenging here. However, there are some beaches to be enjoyed, and one in particular that both history buffs and adventure junkies can not get enough of. Isla Uvita is popular because not only is it the end point of the last voyage of Christopher Columbus, but it is also home to some of the best surfing in the Caribbean. 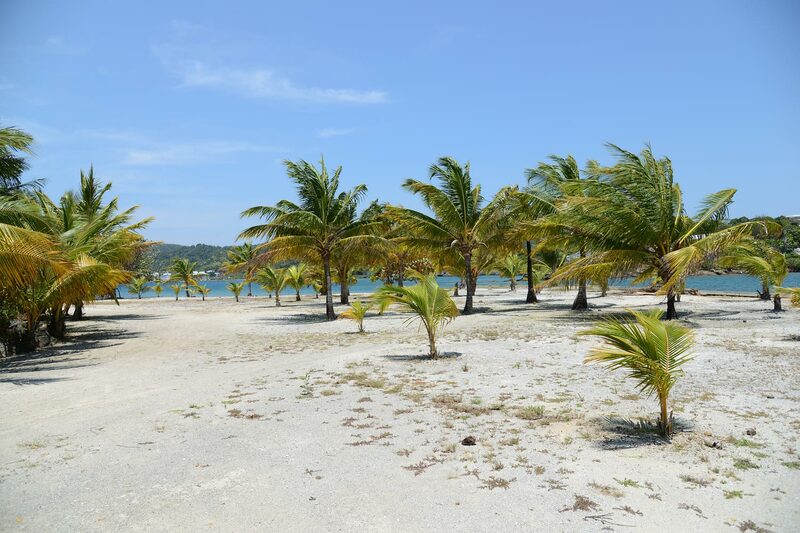 Guests do need to bear in mind however that Isla Uvita is relatively undeveloped and there are not facilities and eateries around, so bringing snacks and a sense of adventure is definitely recommended. 4. Aerial Tram Ride: If just one activity can be done while visiting Puerto Limon, it should be the aerial tram ride. Arguably considered one of the best and most popular things to do in Limon Costa Rica, this place provides both repeat visitors and first time guests find it to be a truly unique and unforgettable experience. Five passengers ride among the tree canopies in jungle gondolas along with knowledgeable, English speaking guides through a thousand acre nature preserve at a slow enough pace to enjoy the surroundings but swiftly enough to make the journey not fall flat. While less wildlife is visible on this tour, the experience is still an utterly thrilling way to see the jungle from a different perspective, and is ideal for groups and families. 5. Canopy Tour: If you are not into slow moving boats or aerial gondolas but you want to see the rainforest from a Tarzan like point of view, then the Original Canopy Tour is for you. This high energy and intense activity originated in Costa Rica and is now popular at many stops along Western Caribbean cruises due to its successes here. Guests can swing from tree to tree like the fabled jungle boy and channel their inner Indiana Jones on a high speed adventure that makes zip lining seem mild. Using space age technology, visitors can safely explore the canopies and whisk above the ground below so long as they have the stomach for it. The Canopy Tour is one of the most popular things to do in Limon Costa Rica for adventure seekers, and repeat guests still come back for more. 6. Veragua Rainforest Reserve Zip Lining: Zip lining and rainforests just seem to go together, and this activity seems to be one of the most common excursions for guests aboard Western Caribbean Cruises. Guests in Limon visiting the Veragua Rainforest can traverse between twelve different lengths of cable through the verdant landscape, high above exotic wildlife and the dense jungle floor. Many of the things to do in Limon Costa Rica take advantage of the abundant rainforests in the area, and although the Veragua Park may not be the biggest or the most diverse, it is deal for guests coming in to port in Puerto Limon because the journey to get there is manageable for those on a cruise schedule, coming in at just over an hour. 7. Animal Exhibits: Zip lining is not the only thing to do in the Veragua Rainforest Preserve, and guests can get up close and personal with some of the jungle’s smaller residents at some of the exhibits offered here. A frog exhibit draws delight from guests both young and old, and a butterfly display and hummingbird expose round out the available things to do in Limon Costa Rica when visiting Veragua. Although more exciting activities can be found in this rainforest, Veragua does a nice job of catering to all kinds of visitors to the port city. 8. Sloth Sanctuary: Sloths may be one of the planet’s most curious animals. They are cute and snuggly yet painfully slow and deliberate. They make their home in Costa Rica, and therefore it may come as no surprise that viewing them in their natural habitat is one of the most popular things to do in Puerto Limon. Although the graceful tree huggers are viewable while partaking in many other things to do in Limon Costa Rica including boat rides and zip lining, the sanctuary offers a truly unique experience. Guests can observe sloths up close and personal on the more than three hundred acre preserved, family owned habitat. They can also learn more about the animals and their habitat from knowledgeable staff that guide the tours. 9. Plantation Driving Tours: No doubt that most guests paying attention along the piers notice bananas making their way to the coast to be prepared for export. Costa Rica relies heavily on the export of certain commodities like bananas, coffee and pineapple. Driving tours are offered to guests that allow them to cruise along the scenic landscape and see where these popular produce items come from, a trip that can be highlighted by checking out the goods on their way out as the cruise ships are boarded again. These driving tours may not be the most exciting things to do in Limon Costa Rica, but for repeat visitors or those looking to better understand the country’s economy and way of life, these tours are not to be missed. 10. Parque Vargas: Anyone not wanting to venture too far away from the safety of the cruise ship will find Parque Vargas ideal. This local landmark is among the first things to do in Limon Costa Rica for seasoned travelers and first comers. The protected park is well landscaped with tropical foliage and palm trees, but the sea wall overlooking the vast water is a highlight for many guests. A short stroll from Parque Vargas can be found a market and some dining options, and the area is easily accessible and does not require transport.